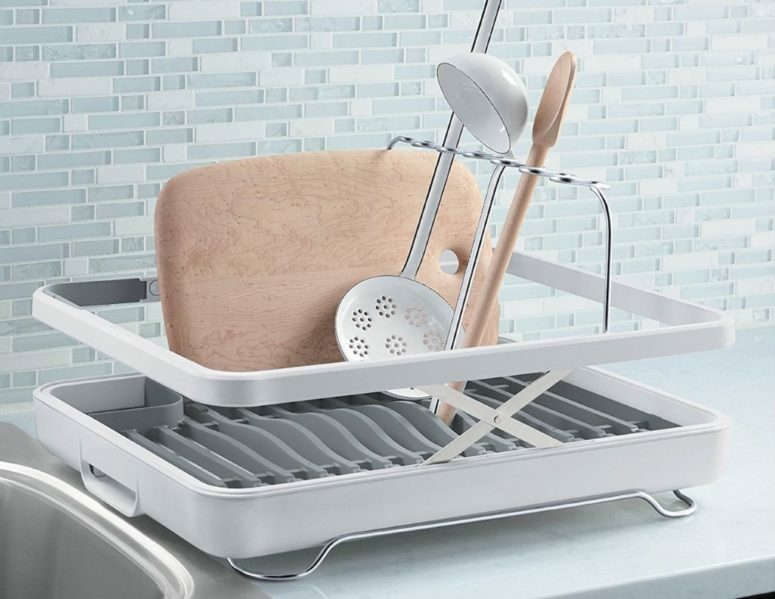 Kohler is a well-known brand, which makes great household items, and Lift is one of them: it’s a Kohler’s answer to your wet-utensil related problems. 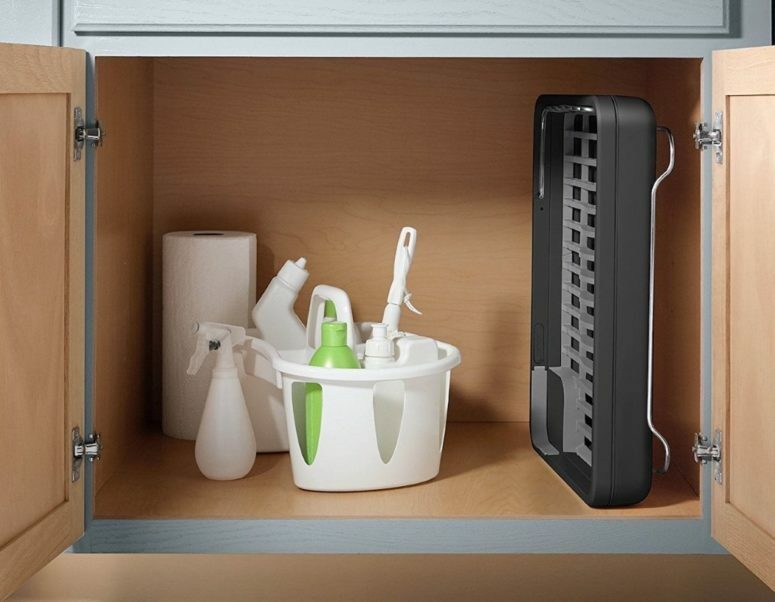 The Lift was designed to take on all sorts of utensils, treating them differently, rather than having them all stashed and dripping away in the same container. 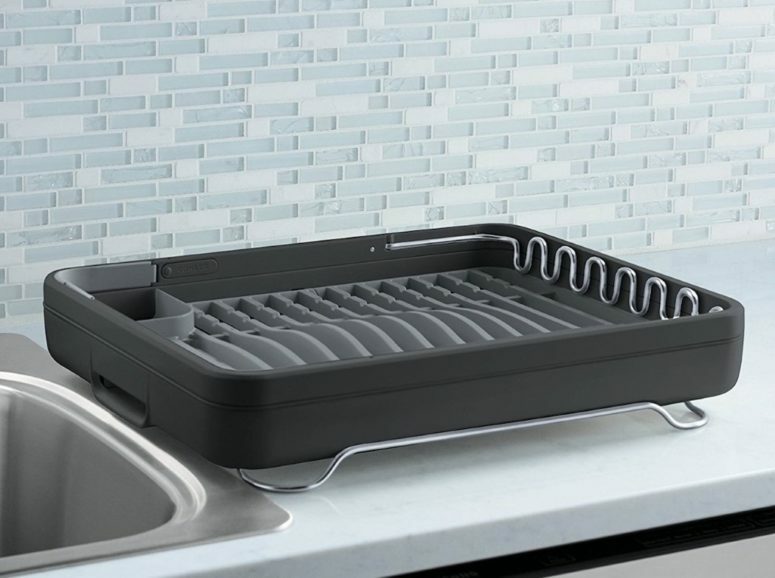 The tray consists of an upward raising barrier that allows you to put large utensils like casseroles and saucepans in without having them falling out. 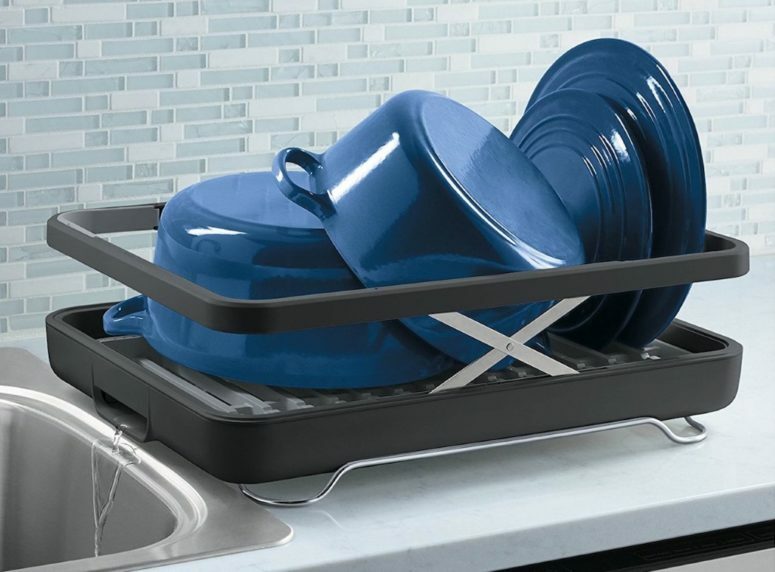 The barrier can be collapsed for regular utensils like dishes that can easily be stacked in the grooves of the Lift. Lift also comes with a rather neat collapsible cutlery holder that opens up only when you need it, providing rather useful scenario-specific real-estate. The same goes for a collapsible rack that allows you to dry stemware (wine glasses) with ease, rather than having them lying around with plates and forks, gathering scratches while standing a chance of getting broken. 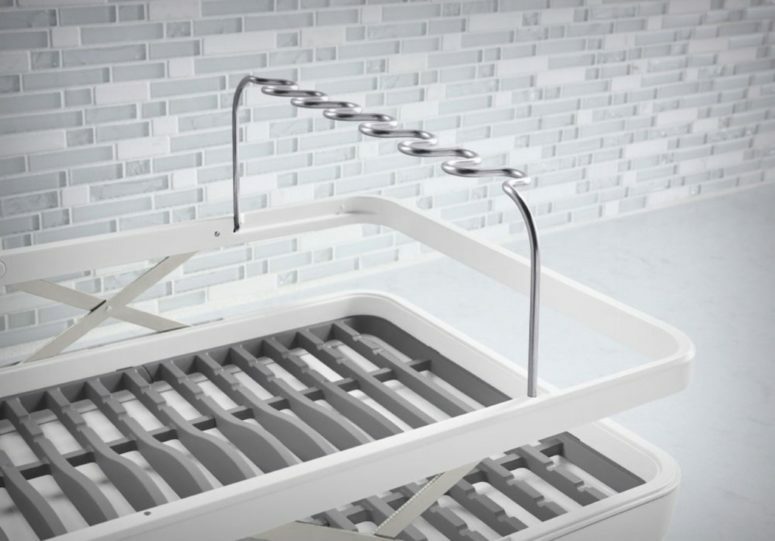 The Lift also has a water channel at its base that guides all the run-off water directly into the sink, keeping your counter neat and your utensils dry.